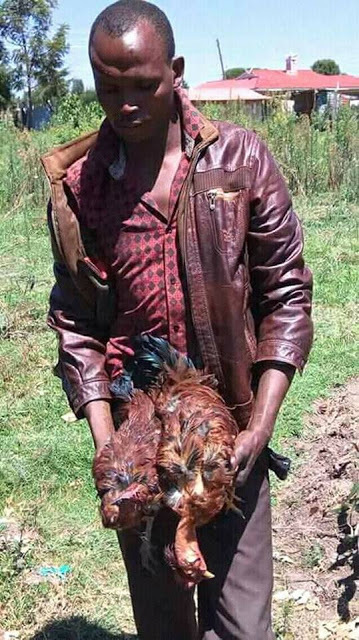 According to reports, 33-year-old Alfred Kipkemoi Mutai alias Chesoni stole the two hens belonging to his neighbour on Saturday evening, January 20. He is then reported to have engaged in the unnatural act all through the night and was nabbed in the morning sneaking out with the dead hens. Upon being pressed on where he was taking the chicken, Chesoni confessed to having committed the act. He was then beaten up by the villagers who demanded he compensates the owner of the birds. Richard Kibor Tonui, the owner of the hens, said he would only forgive the culprit upon receiving a compensation fee of Ksh.4, 000. “I was shocked to wake up in the morning only to find that this man (Chesoni) had raped my hens. I want Ksh.2, 000 for each chicken, only then will I forgive him and he will never be allowed to step foot in my compound again,” said Mr. Kibor. Following the beating by the villagers, an injured Chesoni pledged to get married and lead a better life.